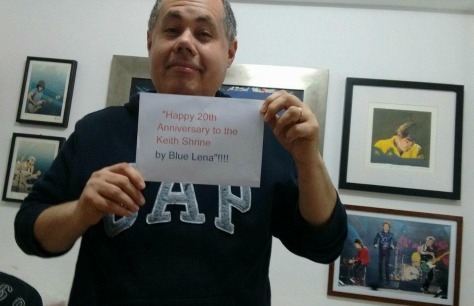 The Keith Shrine by Blue Lena website began sometime in late 1996. 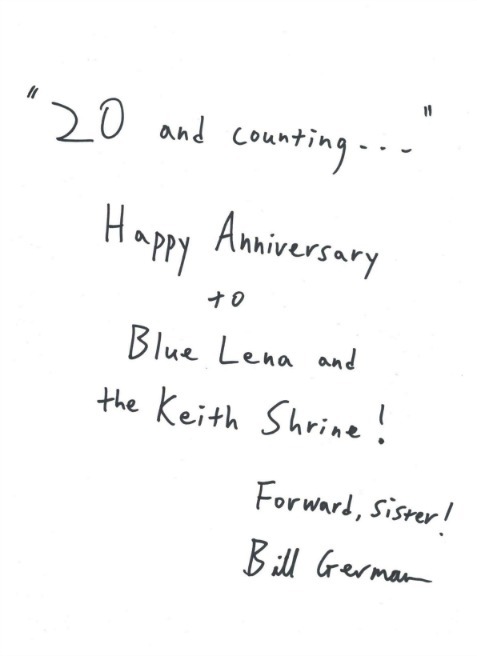 I started with Blue Lena's Rolling Stones Page in 1996 on the Angelfire server, but realized there weren't any sites particularly dedicated to Keith and from there it quickly morphed into the creation of The Keith Shrine by Blue Lena on Tripod/Lycos. By 1996-1997 I had both sites running simultaneously, but as the Bridges to Babylon Tour began I was focused solely on The Keith Shrine, as a labor of love to my favorite Stone, Keith Richards. Angelfire was a free server, Tripod allowed me to get my own domain name with an annual webmaster fee. I got onto the internet back in 1995 and quickly found out that there were other Stones fans as crazy as I was when I discovered the AOL Stones Chat Group. I quickly realized I needed to pick a "Stones handle" in order to chat online and since my first choice, "Redlands" was already taken, I chose "Blue Lena", the name of Keith's Bentley. After that I migrated to the Voodoo Lounge chat room where I met several Stones fans which I continue to be great friends with today. In fact, ALL of my closest friends are Stones fans, whom I would never have met if it wasn't for the Stones! In the early days there were only a few Stones websites and chat rooms, and there was NO Official Rolling Stones website or Official sites for Mick or Keith. In fact RS.COM did not come into existence until the Licks Tour of 2002 and I was one of the lucky fans chosen to help build the Stones Archive material on their new website-logging show dates, setlists, and the like from 1962 up until 2002. 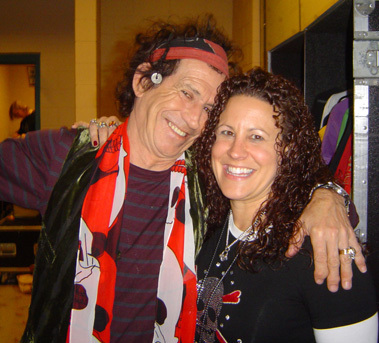 In fact, in 1999, Jane Rose spoke to me backstage at a show in San Jose, CA and asked me what I thought Keith fans would like to see on a Keith Richards website, as she was thinking of starting an Official Keith Richards web page. In 2006 and yet again in 2015 that dream became reality! From 1978-1996 Bill German had his awesome paper newsletter Beggar's Banquet (my first fanzine subscription & considered the official newsletter of the Rolling Stones) and there were some fan clubs that existed in Europe and Japan. Bill is also the author of the fantastic Stones book, "Under Their Thumb: How a Nice Boy from Brooklyn Got Mixed Up with the Rolling Stones (and lived to tell about it). When the 1997 Bridges to Babylon Tour began that's when fans first started to connect with each other via the internet. To many, the world wide web was still a very new and foreign concept. In 1996, a few months before the Bridges to Babylon Tour began, I attended my first internet gathering of Stones fans in Cleveland, Ohio at the Rock n' Roll Hall of Fame. Fans came from California, NJ, Delaware, Ohio, Kansas, Pennsylvania and Toronto, Canada. Many people's families were quite worried about us meeting "total strangers" in person for the first time and we heard comments such as "What if she's an ex murderer?" We were sharing hotel rooms, but we were 9 women, so we weren't that concerned. The only guy in attendance drove down from Toronto, but did not spend the night! And all went well. 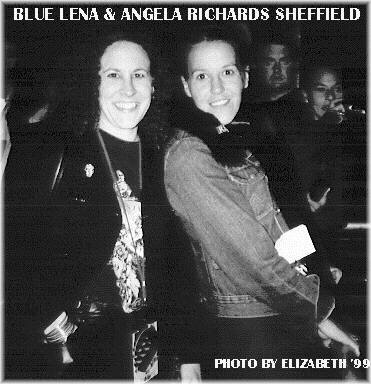 As soon as the tour began in 1997 we began to meet more and more fans at shows and by the end of the 90's and into 2002 with the Licks Tour, more and more fan groups, fanzines and websites began to appear. Many still exist today. You had Shidoobee, It's Only Rock n' Roll, Rocks Off, Undercover, Stone People Japan, Stones People Europe, Sticky Fingers Journal, Stones Planet Fanzine/RSFCO (for which I was US Secretary and fanzine editor from 1999 until we closed shop in 2010), and more. The first mass gatherings of Stones fans began to be held around 1999-2000, my second gathering being in 1999 in Wildwood for a party to celebrate Keith's friend, Freddy Sessler , and fans still gather yearly with Shidoobee in Wildwood over Labor Day weekend. Bill Bolton introduced himself to me backstage in the Rattlesnake in Toronto, Canada in 2002 during the Licks Tour. 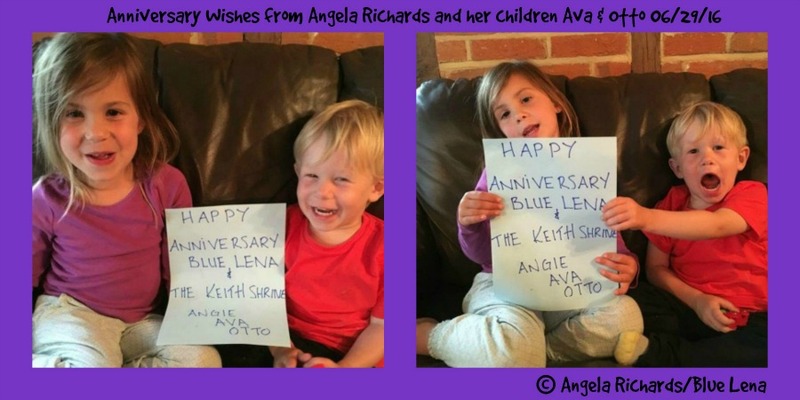 I vividly remember, because I was alone that evening sitting at a round table sipping on a beer and probably noshing on KR's shepherd's pie, and he approached my table and asked "Excuse me, are you Blue Lena?" I was stunned. He added, "I love your website. My name's Bill, I look after Keith." Of course I knew this, but we had not ever met before, and so I was quite flattered that Bill had looked at my website and introduced himself to ME, We've been friends for 15 years now and I can never repay him for all his kindness and generosity over the years. 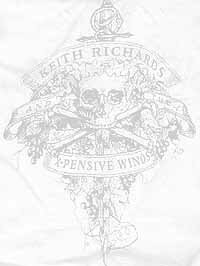 He, like Keith, is one of a kind! 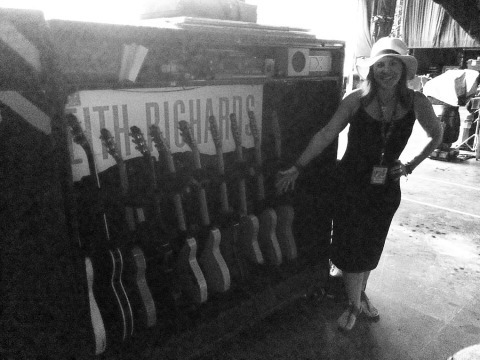 With Keith's guitars on the stage in Pittsburgh 2015 pre-show. Yes, I caressed each and every one! 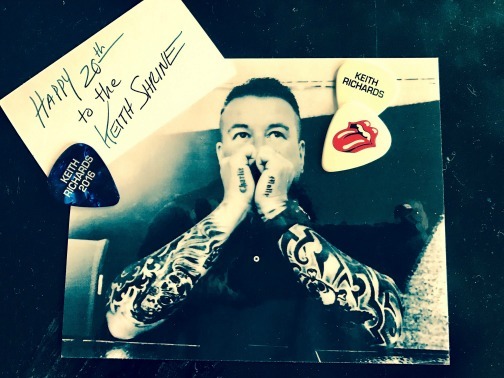 The Keith Shrine has been around through all of it, and I religiously updated the website with reviews, news and photos UNTIL the invention of Facebook groups & pages. I got onto Facebook back in 2007 which was when the Bigger Bang Tour ended. My friend Andre Ribeiro in Porto Alegre, Brazil started his sister website Stones Planet Brazil in 2007 as well. 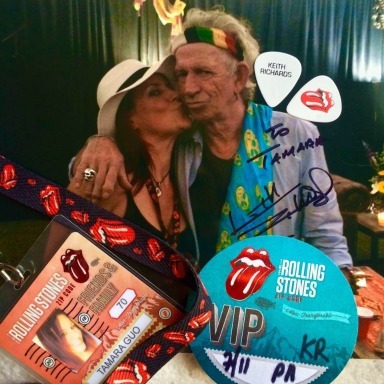 Andre featured The Keith Shrine on his It's Only Rolling Stones radio show on 06/27/16 as well, which you can download and listen to here. I was still sometimes updating the Shrine webpage until around 2012 when it just became so much easier to update on social media. This website, because it was started in 1996 is done all by HTML coding because there were no fancy programs to create easy websites in those days. That's one reason updating can be a time consuming hassle. It is also funded purely by me, and costs around $156 to keep up and running (and to keep the domain name active). 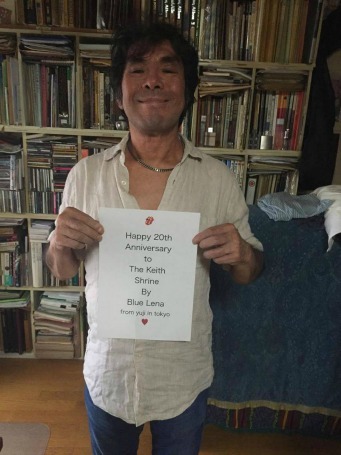 The Keith Shrine has an official PAGE on Facebook and a chat GROUP on Facebook, and is also on Twitter. So after the last review of the London shows that I attended in 2007 were posted, there was not much new content added to the Shrine because all my updates were on social media. Until NOW! I just actually realized it had been 20 years (Holy Cow!) since I began this labor of love for Keith and I also realize that not EVERYONE uses social media. So in June 2016 I began filling in the missing show reviews, adding photos, deleting broken links and old content and updating the news page. 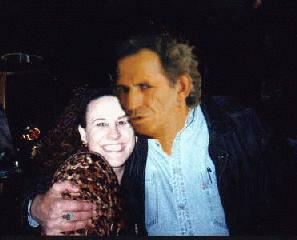 I would not have continued this website if I didn't have the support of all the Keith Richards fans around the world who continue to visit my website. And I thank each and every one of you! 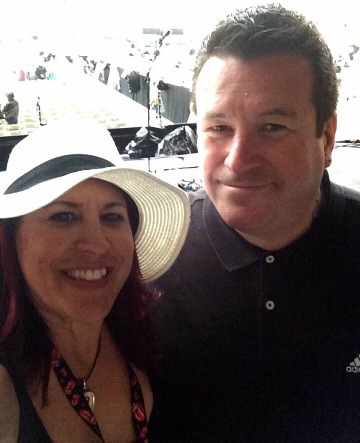 I have also had great support from some of the Rolling Stones personnel throughout the years and I thank them as well. Man, where did those 20 years go??? Look for more notes & photos from various fans and Stones personnel to be added to this page in the coming months (updated 01/12/17).